This is the highest lake on the Texas Highland Lakes chain along the Colorado River. Lake Buchanan was formed as a result of the creation of the Buchanan Dam on the Colorado River by the Lower Colorado River Authority (LCRA) in 1939. The Lake was the first, highest, and furthest west of the chain of lakes that make up the Texas Highland Lakes on the Lower Colorado River. Cedar Point Recreation Area, at 400 acres, is one of the largest pieces of public land on the lake and has over 3 miles of shoreline. Cedar Point Park has campsites that are available on a first-come first serve basis, and large group camping is available with a land use permit that can be booked with the LCRA. This park is great for walking, picnicking, and observing wildlife, and it also has a free boat ramp from which to launch from. There are a few kayak and canoe rental services on Lake Buchanan, and some that even tow your boat further out into the lake, so you don't have to paddle as far. Have fun paddling on Lake Buchanan. The lake is a great place for beginner paddlers to experience a larger lake and open water paddling. 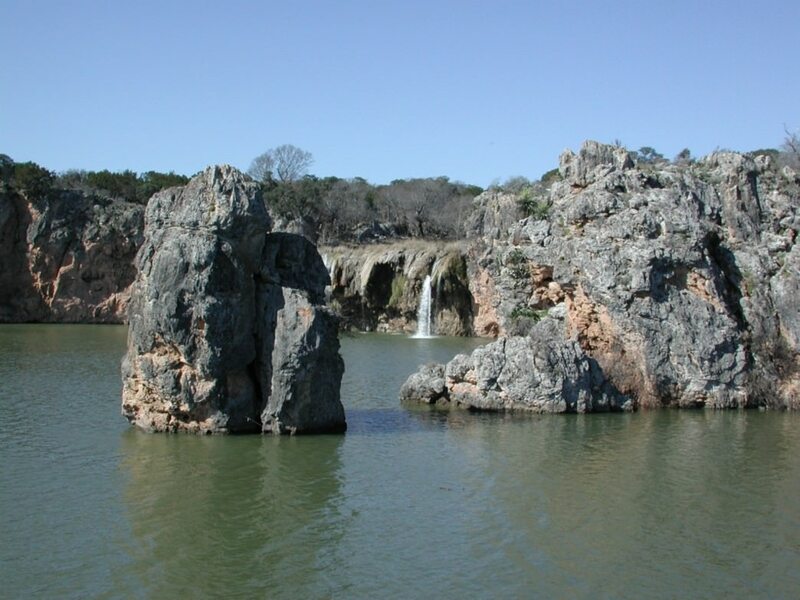 There are several worthwhile sites to see, including (but not limited to) a waterfall in the upper part of the lake. Cedar Point's physical address is 545 Ranch Rd. 3014, Tow, TX 78672.